Welcome back for day 23 of the Lovely Advent Calendar! Christmas season is such a fun and magical time. I thought that you wouldn’t mind having an extra, digital advent calendar to discover a new, surprising little gift every day. So here I am! How about adding a cool looking sloth in your A5 planner? It’s super easy to do it with this fun printable page marker. 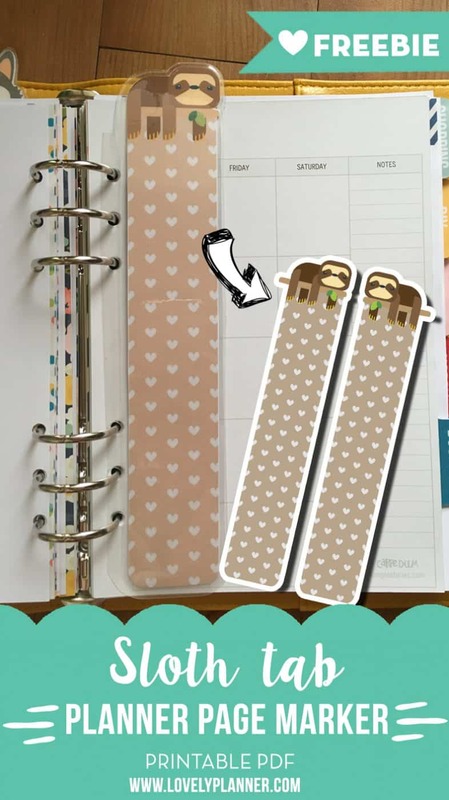 You can use it to mark your “today page or any other section that you want to easily find in your planner. I made it so that a little bit of his face would show when there is pages over it but you can adjust his height by cutting a little bit at the bottom if you wish. Reminder: before cutting the laminate don’t forget to leave space to punch holes on one side of your page marker. Punch holes and enjoy. 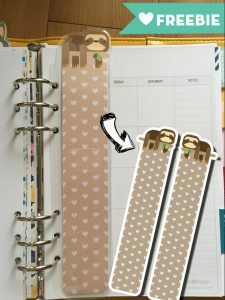 After punching holes you can cut little openings so that it’s easier to add and remove your tab without opening your planner rings. 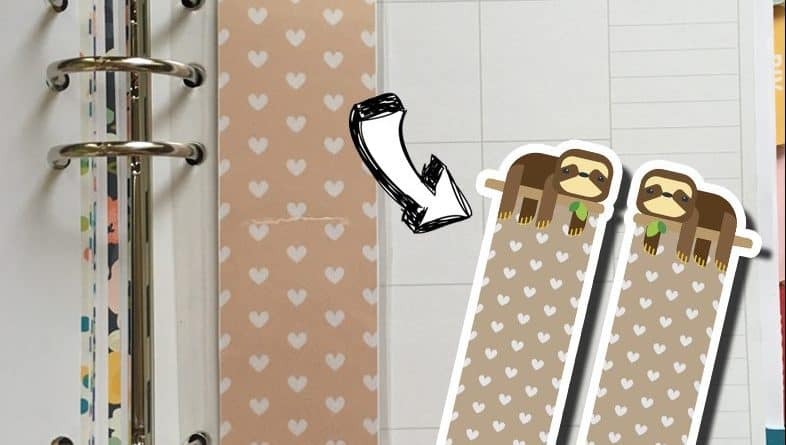 Do you still have the sloth lazy day stickers available? I love these and my daughter’s favorite animal is a sloth. Hello Holly! I’m sorry, these stickers are no longer available. I will update the page right now to delete that link. Sorry!